Game 7 of a playoff series is one of the greatest experiences NBA players and coaches will ever have. I remember when our young Atlanta team nearly knocked Larry Bird and his legendary Celtics out of the playoffs. Although a Championship did not hang in the balance, the classic Game 7 matchup in round two of the 1988 playoffs will forever be etched in my mind. It was remarkable to see the players perform the way they did considering the pressure they were under, knowing that if they lost they would go home and if they won they would have a chance to move on and compete for a title. After Dominique and Bird traded basket-for-basket in the fourth quarter, Boston wound up prevailing by a small yet decisive two-point margin. It’s pretty remarkable that an entire season can boil down to one basket. But tonight one game will decide the NBA Championship. 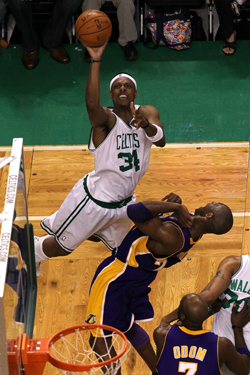 And one basket in Game 7 could clinch another title for the Lakers or the Celtics. Facing elimination in Game 6 the Kobe-led Lakers responded, dominating the boards and the paint from start to finish. 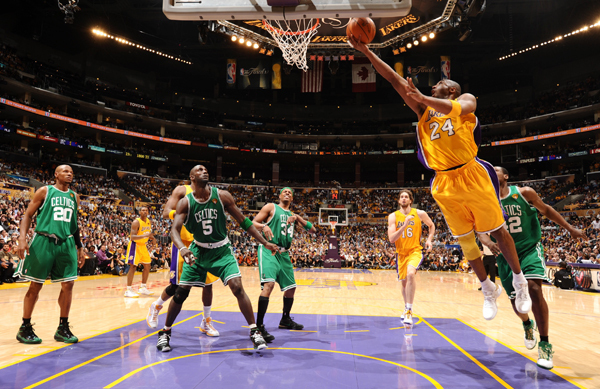 With renewed effort and energy, LA attacked from the jump ball and held the Celtics to just 67 points. The Celtics lost Kendrick Perkins to a knee injury in the first quarter and never found their stride. They were ultimately outplayed and out-hustled by the Lakers. Obviously the series-ending injury to Perkins will handicap the Celtics somewhat, but that doesn’t mean they can’t win this game. In order to do so they will have to shoot and defend like they’ve never done before. If you look back to the great 1985 NCAA Championship when eight-seed Villanova won the national title with a 66–64 victory in the final game over top-seed Georgetown, Nova played an almost perfect basketball game. They had an astronomical 78.6 percent field goal percentage and they defended extremely well. That’s what it took to upset the favorites. There’s no reason Boston can’t come up with the same kind of game – they’ve had to figure out a way to win in spite of injuries all season. The Lakers are looking for the repeat and the chance to clinch back-to-back titles at home. The defending champs should go into tonight’s battle with much confidence after their sensational performance in Game 6. Nobody’s better at smelling blood than Kobe Bryant. I expect Kobe to have a spectacular game. But it remains to be seen whether his teammates will step up once again and give him the support that is necessary. Tonight one team will wind up as world champions and the other will be looking down the barrel of a very long summer. Can’t wait for the game to start. Game 7 of the 2010 NBA Finals airs on ABC at 9:00 PM ET. 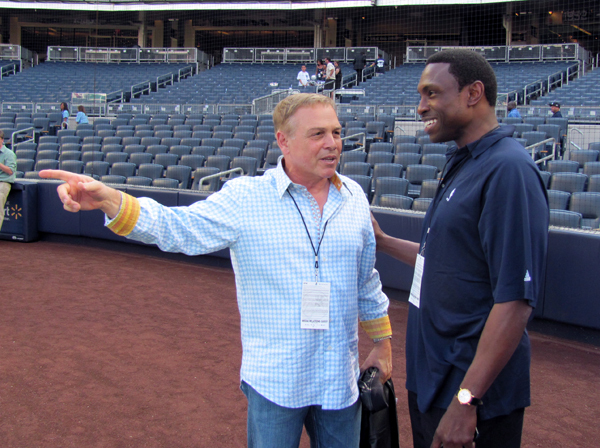 I caught the Yankees game last night with my longtime friend Tony Karcich, the head football coach at St. Joseph High School in Montvale, NJ. As they so often do, the Yankees delivered an exciting victory in the first game of this 2009 World Series rematch against Philadelphia. 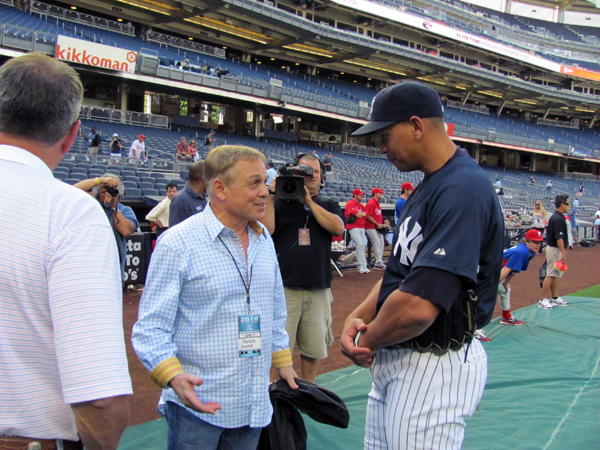 For me the fun began before the ballgame got underway because I had the opportunity to go down to the field and catch up with a few of the players including Alex Rodriguez, Derek Jeter and Jorge Posada, whom I’ve known for some years now. CC Sabathia had to work hard and throw a lot of pitches. He got into a couple jams, but held strong to get the 8-3 win. Yankee bats came alive against Roy Halladay, one of the Phillies’ ace pitchers. Posada didn’t catch, but he came off the bench as a DH and got a big hit. He looked spry and speedy on the bases, so his foot must be feeling better. It was good to see the Yanks have such a terrific at-bat despite the absence of Alex Rodriguez, who missed his fifth consecutive game due to a groin injury. 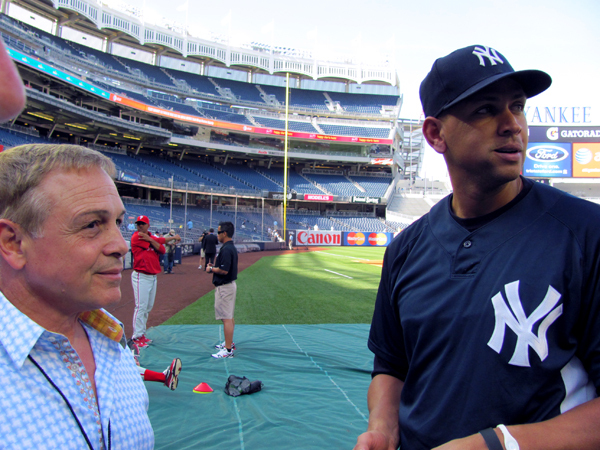 A-Rod took batting practice and fielded some ground balls during the warmup, so we got a chance to chat about whether the Celtics or Lakers would win Game 6. 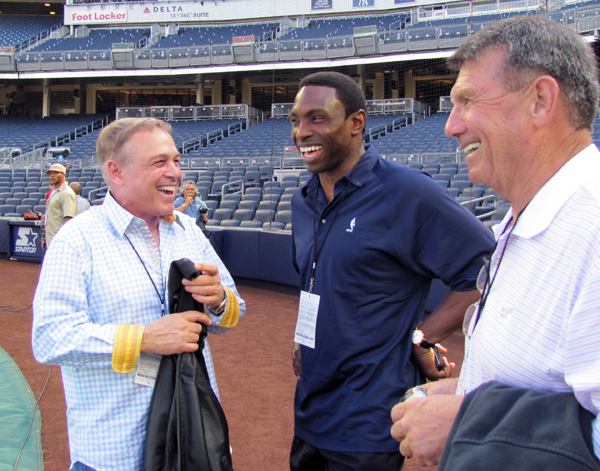 New Nets coach Avery Johnson was also down by the dugout before the game. I talked to him about growing up in New Jersey, and we discussed which section of town he and his wife might move to. Avery invited me to come watch the Nets’ training camp this summer, and I wished him luck with his exciting new venture. All in all it was a great day at the park. We’ve been saying all along that the Celtics haven’t clicked on all cylinders in this series. Well, it finally happened in Game 5. The Big 3 + Rondo all showed up for their last home game of the NBA Finals in top form and the Celtics played their best overall game of the series. Paul Pierce had a huge second half to cap off his best performance of the championship round. Led by Pierce’s 27-point showing, the Big 3 + Rondo all scored in double digits: Garnett and Rondo each had 18 and Ray Allen put up 12. And once again Nate Robinson, Tony Allen and Rasheed Wallace came off the bench to give the Celtics a spark. The Lakers bench matched the Celtics reserves, narrowly outscoring them 14-13. But only two of their players scored in double digits: Pau had 12 points and 12 rebounds, while Kobe had a spectacular 38 points and kept the Lakers in the game. The reason the Celtics shot over 56% from floor while the Lakers only shot 39% was because of Boston’s outstanding defense. They made the Lakers work hard for every opportunity and aggressively contested their shots. 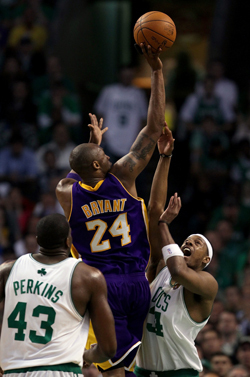 Doc had said that one of these nights the Celtics would have to win when Kobe had a monster game, and that’s what they did in Game 5 by shutting everyone else down. Game 5 could have been the clincher for LA, but instead the momentum has shifted to the tougher team, and the Celtics have taken command of the series heading into Game 6. However, Phil Jackson managed to put a positive spin on the situation, pointing out that when you do the math both teams have in essence held serve, so things are as they should be. Now the Lakers go back home with two games remaining in their building and it’s their job to hold serve. If they hold serve, they win the series four games to three. Heading into Game 6 it’s evident that the Lakers are going to need more productivity, not only from their bench, but from starters Artest and Fisher who combined for just 16 points in Game 5. And the Lakers need Bynum’s presence. Bynum obviously struggled in Game 5 and was only able to make a limited contribution because his knee was drained for a second time just prior to the game. He only had six points and one rebound in 31 minutes – and no blocked shots, which is unusual for him. Any time a Phil Jackson-coached team has won the opening game of a playoff series, they’ve won the whole series. And the Celtics have an 11-0 all-time series record when leading 3-2. One of these streaks will come to an end in these Finals. I have felt from the beginning that this is going to be a 7-game series, so it would not surprise me at all to see the Lakers bounce back in Game 6. They have got to come out on edge and at the top of their game tonight because the Celts have been a very good road team all year, probably the best in the league. And they’ve already proven they can beat the Lakers on their home turf. The Celtics, being a veteran team, know they’re not getting any younger and that the longer this series goes, the more difficult it will be to close out. Game 6 airs tonight on ABC at 9:00 PM ET. 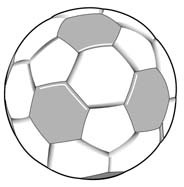 With the World Cup underway it’s impossible to ignore the global impact of sports and the unique ability of athletic competition to bring attention to people and countries we may otherwise overlook. A tournament such as the World Cup levels the playing field among disparate nations and cultivates respect for people of all cultures and creeds. It has always been interesting to me how some people have a way of finding just the right words to express a sentiment that many of us have felt, but never articulated. Not sure anyone could have put this commentary on the power of sport into words better than Nelson Mandela did.